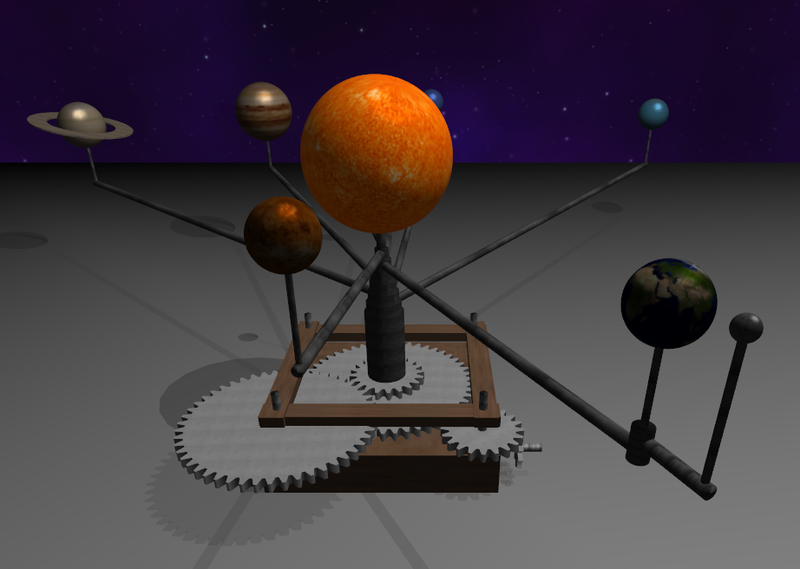 For a university assignment I had to create a simulation of a real world mechanical object I decided to create a simualtion of an Orrery. This is the first full program I have developed in OpenGL and it turned out to be quite nice looking and soothing to watch. I also uploaded a video of the application to youtube which you can watch below. 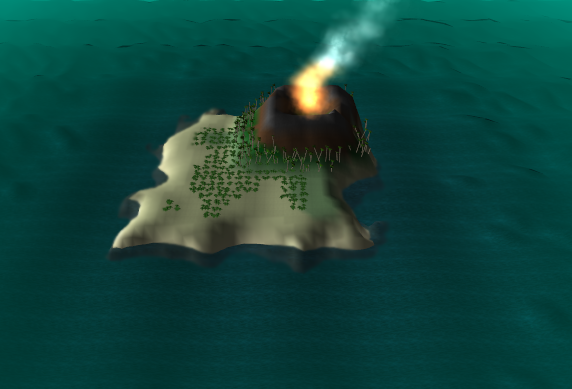 This entry was posted in OpenGL on 28/10/2012 by Stewart. I have been recently working on my honours project for my final year of university. The project is about using dynamic path finding algorithms to help autonomous vehicles navigate unknown terrain. The project is mainly focusing on developing the best navigation systems for ground space vehicles such as autonomous rovers that would navigate asteroids or planets. I have completed my initial prototype which uses generated elevation models. These elevation models are loaded from a modified “ppm” format which uses the red and green values to provide 24 bit two dimensional arrays. A slope model is then calculated using the specified slope algorithm (Horn Slope, maximum, average). This slope model is the converted to a hazard model which can be used for the rovers navigation. 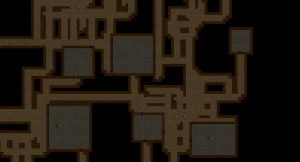 The path finding part of the prototype makes use of the A star search algorithm. 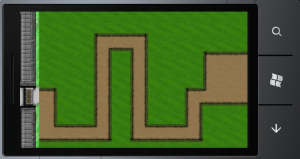 The simulation uses the algorithm to find the safest route to its destination. This means it will find the route with the lowest incline. The next prototype I create will be to develop a simulation which will make use of the D star search algorithm. This new prototype will be used to show the comparison of A star and D star when it comes to navigating unknown terrain. This entry was posted in Honours Project, Projects and tagged a star, autonomous navigation, code, d star, pathfinding, prototype, rover, system, tech, university on 20/10/2012 by Stewart. This day two years ago I released my very first game and i’m quite happy to that two years on it still manages to rake a good amount of downloads and sales. Which Is why I have decided to release it on windows phone. I have learned a lot during the past two years and It will be noticeable in StormGate for windows phone. The new version was completely rebuilt from scratch, I wanted to build something that would be extremely expandable, so that it will be very easy to update in the future if becomes popular. 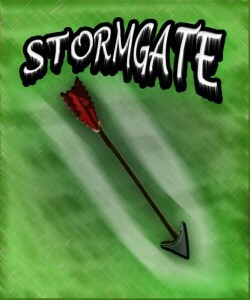 StormGate on a mobile device just feels more natural, the games is seamless with touch and gesture controls. It allows you to jump quickly in the game and manage your town on the fly. This entry was posted in StormGate and tagged Game, Indie, Mobile, Stormgate, windows, Windows Phone, Xbox, XNA on 29/08/2012 by Stewart. I Managed to find some time to update paddler log. I haven’t updated it in a while and I had been busy working on Stormgate mobile in my free time but I decided to take a break from it and work on paddlers log, which is gaining in popularity. The feedback system has been very useful and I appreciate greatly the messages you submit. I have added your most requested features imperial units and editing (sorry that should I have been in from the start but it is now). River and trip entries can now be edited. As I’m usually always busy, once I manage to find some free time I will able adding a lot more useful exciting features. Here are just some of the new features planned. This entry was posted in Paddler Log and tagged Android, app, book, canoeing, kayaking, log, logbook, Mobile, paddler, rafting, Update on 18/07/2012 by Stewart. I had some free time so I decided to fix up my old XNA laser system a bit. It looks much nicer than before and the collisions are much faster. I also added in proper light reflection instead of the old system which was just the mirrors angle. Here is the source code http://taylore.net/LaserBox.zip ! Warning it’s messy and incomplete! This entry was posted in Projects and tagged code, demo, Game, Indie, laser, source, system, tech, XNA on 08/05/2012 by Stewart. My plan is to hopefully get it completely ported over so that it’s the exact same quality as the Xbox version. This entry was posted in StormGate and tagged Dream Build, Game, Indie, Mobile, Projects, Stormgate, Windows Phone, Xbox, XNA on 20/04/2012 by Stewart. So I recently manged to very luckily win a new Nokia Lumia 800 in a competition. I have been playing about with it quite a bit .I’m really impressed how easy it is to quickly make stuff for it. I do plan on bringing my Paddler Log app to that sometime (I will still be working on the android version however). 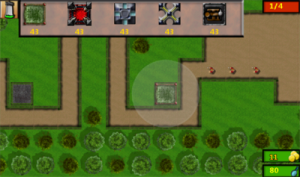 This entry was posted in Projects, StormGate and tagged Game, Indie, Mobile, Projects, Stormgate, Windows Phone, XNA on 09/04/2012 by Stewart. PaddlerLog has now been updated so you can share your kayaking adventures with your friends on Facebook. When you enter a new trip you will now have the ability to share it on Facebook. This new menu will have other options to post to other social networks soon such as Twitter. You can also now post feedback via the about about screen. If you have not got it you can get it here . This entry was posted in Paddler Log and tagged Android, kayaking, log, logbook, paddler, Projects on 13/02/2012 by Stewart. I started working on getting my Level Generator from my Dungeon Crawl Game working in 3D this was the result after much work. It still requires a lot of work before it will be complete obviously. 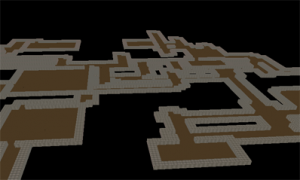 This is the start of one of my new projects which is to convert my Dungeon Crawl Game into 3D. This means I will probably release the old 2D version for download soon. This entry was posted in Dungeon Crawl, Projects and tagged Dungeon, Game, Indie, Procedural Generation, Projects, XNA on 09/01/2012 by Stewart.